“Date night” is a great way long-time couples stay connected within their relationship; it’s a time to focus on you + me = we. A very popular date night trend right now is couples cooking classes, where recipes for relationship romance and cooking creativity are explored. 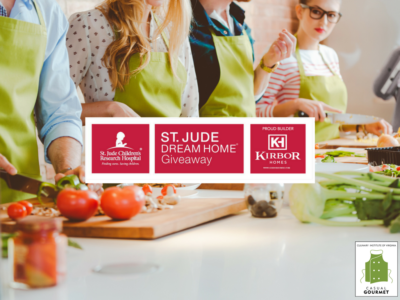 Cooking classes not only build delicious meals–they could also build stronger relationships and transform the way you order and what you order when restaurant dining. Students may find that after cooking courses, they’re more likely to be open-minded about trying new things and removing themselves from their potentially boring mealtime routine. Cooking can be both adventurous and enlightening–so much so students sometimes find themselves asking waiters for more information about food preparation and ingredients. At home, they’re more likely to prepare meals they’d never considered before taking a cooking class–ethnic, exotic foods the whole family can sample and learn about. Your health impacts every area of your life, including your relationships. People who feel healthy and fit are just naturally happier. Couples cooking leads to discussions about nutrition and healthy food choices. You and your significant other will just naturally begin to decide, every week, what your meal plan is and what groceries are needed. If you’re on a budget, this will help the two of you better control your finances as well as lead to a more balanced diet for you and your family. 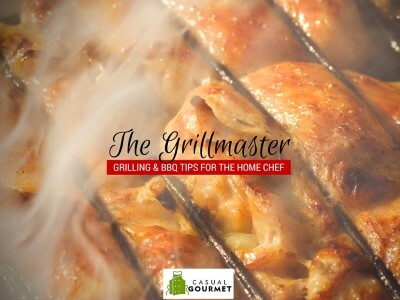 From choosing a recipe all the way to that first bite, you may find yourselves discussing ingredients, creating a shopping list, and reviewing the tools and cookware needed . . . talking, explaining, questioning and learning about each other. Developing strong communication skills in the kitchen can lead to being better able to communicate in other areas of your life, too: work, family, and any area where you are involved with other people. 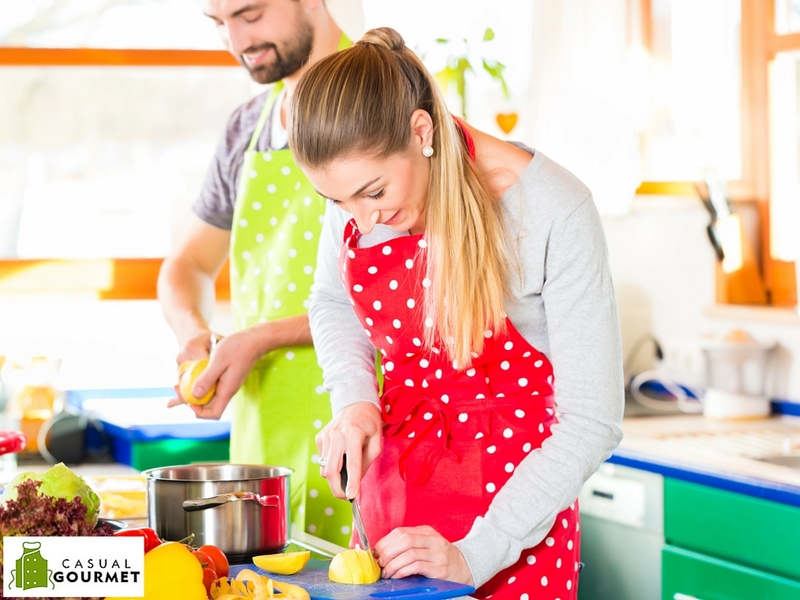 In addition to communicating, couples who cook together have to depend on each other to complete their assigned tasks. You may be in search of a Moroccan blend of spices while she is charged with buying the polenta and cheese. Cooking couples have to tag-team every cooking project and trust each other to get the job done. While you are working in your kitchen, you’ll discuss what’s going on at work, how the kids are doing in school, and more than once, you’ll remember when. Remember our first date? Remember the first time we cooked together? Do you remember the time your sister made lasagna for us – but she didn’t know to cook the pasta first? How do you like your pasta – chewy, crunchy, or rock-hard? When you cook together as a couple, you’ll be making memories too. Every spill and mistake that leads to laughter also leads to a “Remember when . . .?” that you’ll someday cherish. One woman, married 45 years, didn’t know her husband didn’t like carrots! “He never said anything, and I don’t cook with carrots that often,” she said, “But it wasn’t until we planned our couples cooking class that he told me!” Entrees and side dishes featuring carrots went out the window after that. Another man who had not spent much time in the kitchen discovered he had a severe allergy to onions. He ate them, liked their flavor, but simply peeling the outer layer of onion skin reduced him to a weepy, runny-nosed mess. As a result, his fiancé took charge of all onion prep in the kitchen! Cooking Classes for Couples are a Click Away! Eating is a necessity, but cooking is an art! 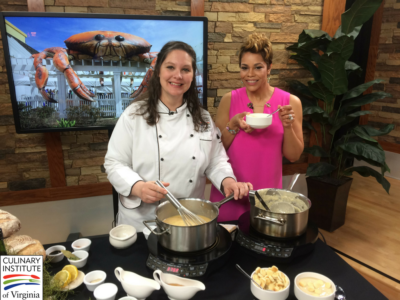 All Casual Gourmet at Culinary Institute of Virginia cooking classes are led by industry professionals who can bring out the artist in you! Your level of cooking skill doesn’t matter; a beginner cook brings the same desire for good taste to the table as an acclaimed chef. Call 757-217-3189 (Norfolk) or 757-986-6002 (Newport News) for additional information, or contact us today.